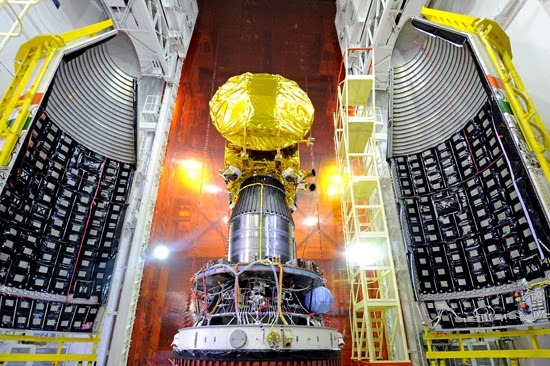 US space agency NASA today said it would launch a water-related satellite in collaboration with India's ISRO. The NASA-Indian Space Research Organisation (ISRO) Synthetic Aperture Radar mission is a part of its plan to launch in the next seven years a series of satellite related to water and drought, the agency said. Among others include the Ice, Cloud, and land Elevation Satellite-2 (ICESat-2); Gravity Recovery and Climate Experiment (GRACE) Follow-on and Surface Water Ocean Topography mission. "These satellite missions join more than a dozen NASA airborne sensors focused on regional-scale issues, understanding detailed Earth science processes and calibrating and validating NASA satellites," the space agency said. "NASA monitors Earth's vital signs from land, air and space with a fleet of satellites and ambitious airborne and ground-based observation campaigns. NASA develops new ways to observe and study Earth's interconnected natural systems with long-term data records and computer analysis tools to better see how our planet is changing," it said. "The agency shares this unique knowledge with the global community and works with institutions in the United States and around the world that contribute to understanding and protecting our home planet," it said. NASA said it is scheduled to launch three new Earth science missions this year, which will contribute to water cycle research and water-related national policy decisions. The Global Precipitation Measurement (GPM) Core Observatory, a joint satellite project with the Japan Aerospace Exploration Agency scheduled for launch Thursday, February 27, will inaugurate an unprecedented international satellite constellation that will produce the first nearly global observations of rainfall and snowfall. The new information will help answer questions about our planet's life-sustaining water cycle, and improve water resource management and weather forecasting. "ISS-RapidScat, scheduled to launch to the International Space Station (ISS) in June, will extend the data record of ocean winds around the globe. The data are a key factor in climate research, weather and marine forecasting and tracking of storms and hurricanes," NASA said. "The Soil Moisture Active Passive (SMAP), launching in November, will inform water resource management decisions on water availability. SMAP data also will aid in predictions of plant growth and agricultural productivity, improve short-term weather forecasts and long-term climate change projections, and advance our ability to monitor droughts and predict floods and mitigate their related impacts on people's lives," the space agency said. Topics: GRACE ICESat-2 India International ISRO NASA Space U.S.